Get insights from musicians and creatives about working with archives to create new works. Guests include musician Adrian Utley (Portishead), Charlie Harman from Compass Presents and Bristol-based filmmaker John Minton. 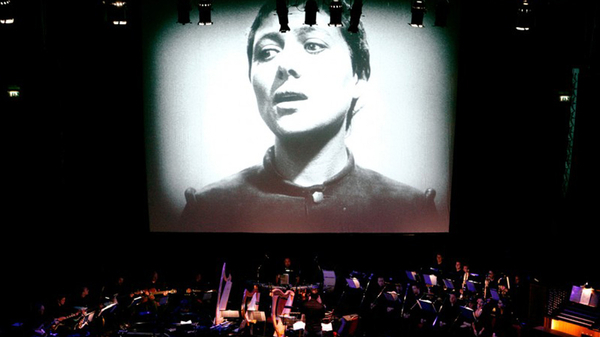 In 2010 Adrian along with Will Gregory (Goldfrapp) wrote a score for Carl Theodor Dreyer’s silent masterpiece The Passion of Joan of Arc which they performed in the UK and internationally. The are currently working together again on the score for the archive film project Arcadia directed by Scottish filmmaker Paul Wright. Compass have successfully shown archive film as part of projects which combine sight specific settings with the theatrical and immersive, most recently projecting onto the sails of boats in Plymouth, Belfast and Bristol as part of Celluloid Sail. John Minton, known for his experimental, lo-fi, and hallucinatory style of filmmaking working with the likes of Portishead, Noel Gallagher and Get the Blessing, has been collaborating with DJ Swami on Punjabtronix; a new commission by Asian Arts Agency in partnership with Watershed to promote international collaborations between artists from England and India responding to Reimagine India 2017. All three will be sharing their experiences of working with archive film and provide insights into the inspirations and challenges of the projects they have been working on. For those of you who work with, or want to begin working with, archive film, look out for The Archive Sessions designed to inspire and inform through practice based insights from leading event producers, curators, musicians and archivists. We are pleased to announce that Cinema Rediscovered Passes are now on sale, enabling you to enjoy all the weekend events (Thu 27 - Sun 30 July) at a reduced price.